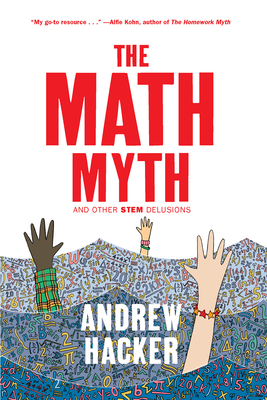 When Andrew Hacker published an op-ed in the New York Times questioning the requirement of advanced mathematics in schools, it instantly became one of the paper's most widely circulated articles. Why, he wondered, do we inflict algebra, geometry, trigonometry, and even calculus on all young Americans, regardless of their interests and aptitudes? In response to the controversy sparked by his ideas, Hacker fleshed out his arguments in The Math Myth, which Diane Ravitch has hailed as an "mportant book" that "demolishes some totally unrealistic policies that will prevent many students from ever receiving a high school diploma and leading useful lives." In "a clarion call to students, parents, and educators who decry the one-size-fits-all approach to schooling," (Publishers Weekly, starred review) Hacker offers a bold examination of widely held assumptions about the Common Core curriculum, the frenzied emphasis on STEM, and the type of knowledge that is--and will be--needed for most jobs. A mathematics professor himself, Hacker, in this "direct and clear" (Kirkus Reviews) "worthwhile read" (National Book Review), honors mathematics as a calling and extols its glories and its goals--yet shows how mandating it for everyone not only prevents other talents from being developed, but acts as an irrational barrier to graduation and fulfilling careers.